It’s time to begin the ARKS Orders Rush, a new online event where players are tasked with defeating specific bosses within quests designated for the event. Players can earn additional rewards by Gathering specific items marked for the event. Defeating these bosses will net you points based on the difficulty of the quest. Create a meal using the ingredients from each planet. 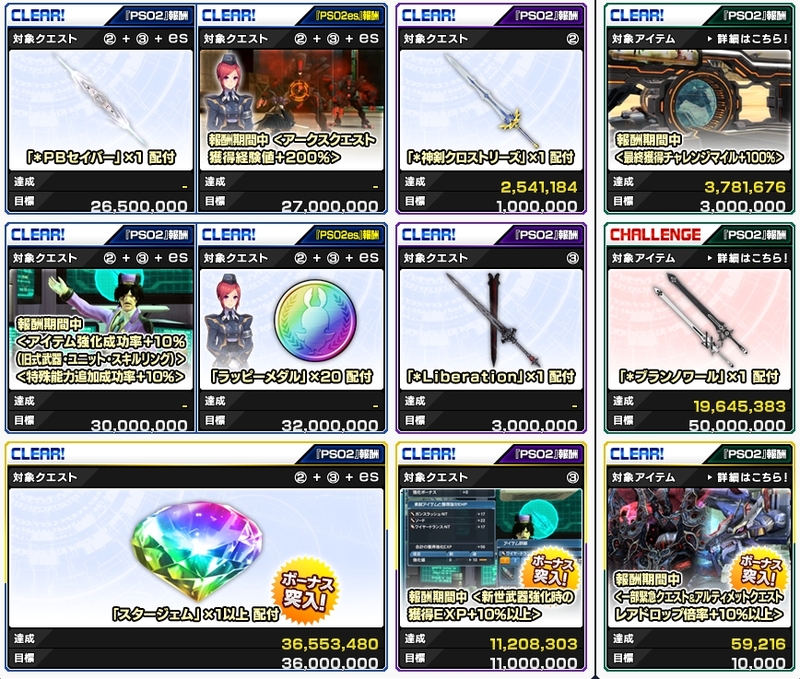 ★3 or higher rarity fish on Planet Naberius, Earth, Wopal, and Lillipa. ※Points are earned based on the size of the fished item. ※You will be notified in-game if you acquired an item that qualifies. ※ A checkmark will appear in the table above after clearing the specific order. Every 200,000 points contributes 1 star gem to the prize. Achieving a final score of 39,800,000 points unlocks a maximum of 20 Star Gems. Every 200,000 points increases the EXP earned by [1%]. 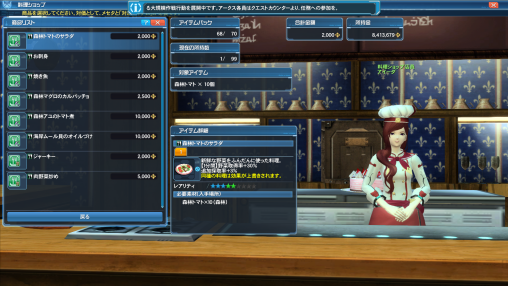 Achieving a final score of 14,000,000 points unlocks a maximum of [+25%] EXP earned during New Type Weapon Grinding. Every 10,000 points increases the rare drop rate by 10%. Achieving a final score of 100,000 points unlocks the maximum +100% Rare Drop Rate. 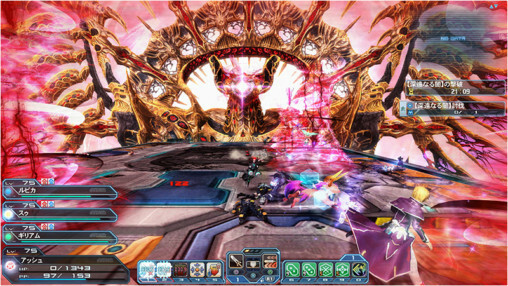 Arks Orders Rush is an online event where ALL players collectively earn points towards unlocking various rewards. In order to qualify for the prize, you must play the limited quest at least once within the entire event. Prizes will be distributed on the dates indicated in the table above. The [Quest Target #] button displays the bosses you need to defeat to earn points towards the event. Certain panels like Order #11, require that you defeat the bosses in [Perennial Apocalypse]. What does [❶ + ❷ + ES] Mean? Each quest listed in the “Quest Target” button corresponds to a specific number. For example, the number ❷ represents “Perennial Apocalypse.” Defeating the boss within that quest will contribute points towards the Orders listed with that number. 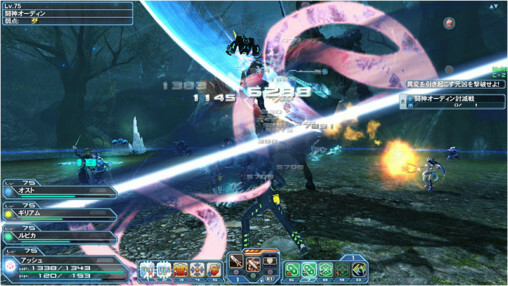 PSO2es players can contribute points to the orders marked with the [ES] tag by playing certain Special or Emergency Quests. Order #3 and #5’s rewards are applied on the maintenance that occurs approximately two weeks after the time we cleared that Order. For example, if we succeed in clearing the Order on June 10th, then the rewards will get distributed on June 22nd’s maintenance. The boost reward follows the same rules in the example. If we clear the order on June 10th, then the boost period for that reward will begin on June 22nd’s Maintenance. In addition, you will not be able to redeem the item rewards under a new account that was created after the reward items were distributed. You can earn points by gathering specific items mentioned near the top of this post. Players who’ve cleared a qualifying quest at least once during the event period. Players who’ve gathered at least once during the event period. gathering-specific demands, particularly with thresholds like those, seem like a check to see how many whales are active, due to the gating on stamina refills. I wonder what it’s gonna take for the execs to realize they need to ease off on how hard they want that monetized if they want people to be doing it heavily. Agreed. 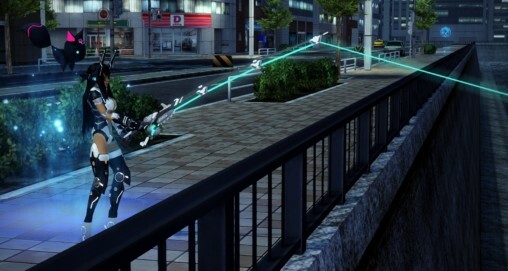 It’s perfectly reasonable that SEGA needs a revenue stream, what with PSO2 being a F2P game, but the direction they’re moving in seems desperate. Hi i like to participate to the contest of illustration but its in JP, someone please traduce the rule ? No somos aunque se supone que es estar jugando el juego. Sólo los residentes japoneses pueden entrar. Only newbies can earn reward for order 2? Everyone earns the reward if they participate at least once in the limited quest. I get that one of them is killing bosses in the LQ, but what is order 2 and 3? Orders 2 and 3 are killing bosses in the LQ. Order 2 is taking longer for people to clear because it has a higher requirement. So…why is the LQ target (target 1) not getting that many points very quickly for all the ones it’s a target in? Jeez, the Odin LQ sure caused a paradigm shift. What’s passably interesting, and fertile grounds for idle speculation, is those tallies that keep counting after the goal is met – hinting the scores will be relevant for the final set to be announced on the 13th. This is ofc rather stating the obvious, but perhaps worth mentioning anyway. If random is right, I wonder how that will effect things. last event with point totals, a few panels had secondary rewards based on how far we went past the initial goal. Seems like we already unlocked the good stuff, the LQ annihilated the points needed rather quickly. So all one has to do is participate in the LQ to reap all the rewards when the time comes, right? …the deadline was over a week ago, pretty sure that ship’s already sailed. Do you have to play pso2es to do this?